On the banks of the Caribbean, in the Colombian city of Cartagena de Indias at the 2009 World Junior Championships, a fast attacking left hander caught the eye; not selected for the Boys’ Team final, contrary to expectations he reached the Boys’ Singles semi-finals losing to the eventual winner colleague, Fang Bo. In Paris, proceedings commencing on Friday 19th October, China’s Lin Gaoyuan makes his second appearance in the Liebherr Men’s Cup; the no.4 seed, the ultimate goal is the top step of the podium but there is another goal, to dispel the concept of being the nearly man, the player who has not fulfilled the potential shown nine years ago. Following his penultimate round defeat in Colombia, he was to reach the Boys’ Singles final on the next three editions of the World Junior Championships; in 2010 in Bratislava, he lost to compatriot Song Hongyuan, the following year in Bahrain to Japan’s Koki Niwa. One year hence in Hyderabad, the most pertinent of the three finals, he was beaten by a colleague two years his junior, he lost to Fan Zhendong. Watching the teenagers play, there was no questioning Lin Gaoyuan with regards to ability; he was dynamic exciting to watch, in the way that he played did he not attract greater attention than Fan Zhendong? However, Fan Zhendong, as he has since proved time and time again, has one massive quality; he possesses immense stability. 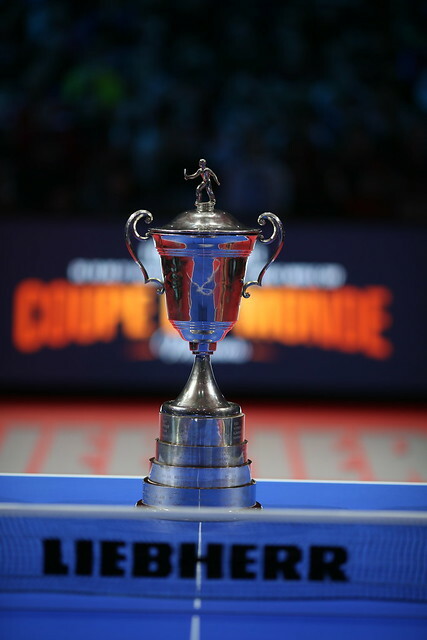 It is that quality in particular that has seen Fan Zhendong progress to the top spot on the global listings, and thus the top spot in the seeding at the forthcoming Liebherr 2018 Men’s World Cup. The record at the Liebherr Men’s World Cup endorses the fact; two previous appearances, Fan Zhendong has always reached the final. In 2015 in Halmstad he was the runner up, losing to single minded Ma Long, determined to add the World Cup title to the World Championships crown won earlier in the year in Suzhou; the following year in Saarbrücken, once again facing a colleague at the final hurdle, he beat Xu Xin to claim the top prize. Conversely for Lin Gaoyang, making his debut in the prestigious tournament one year ago in Liège, it was a nightmare. Having qualified by beating Fan Zhendong in the Asian Cup final earlier in the year in Ahmedabad, at the quarter-final stage was beaten by Germany’s Timo Boll; a contest in which he led 10-4 in the deciding game, he lost the next six points, surrendered another game point at 11-10, before one of the most remarkable recoveries ever recorded in World Cup history was completed. The problem was exasperated because it was the second occasion in the year when he had suffered the same fate. In the fourth round of the Men’s Singles event at the Liebherr 2017 World Championships in Düsseldorf he had led 10-5 in the deciding game when facing Xu Xin, only to lose the next seven points. Now in a third European city, in Paris, can Lin Gaoyuan lay the gremlins to rest? He has the ability but Fan Zhendong is the favourite, he has the stability.